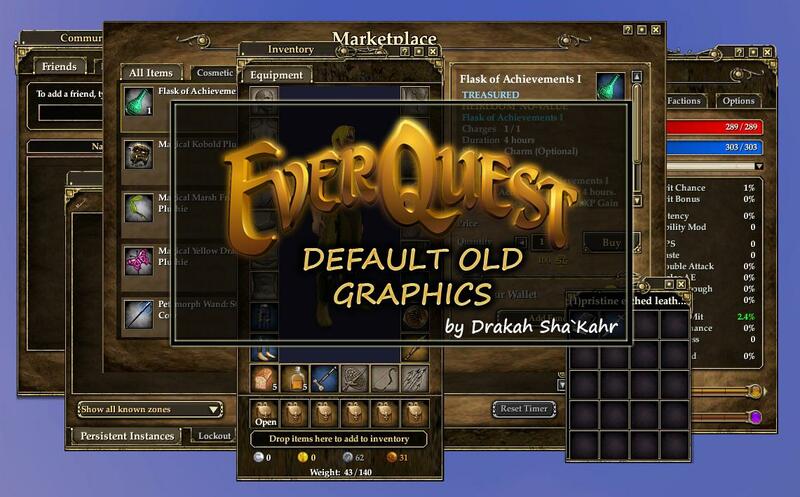 This Skin consists of the imagery used when EverQuest II was launched before they changed the Default to the blue color. There are only a few XML files (other than skininfo) that needed to be altered to stay consistent with the theme, along with the updated graphic files. Thank you so much for this mod. I really love the colors in this interface. I'm having a problem with it, though. Well, two problems, but I'm unsure if one is related. First off, I cannot get the implied target window to come up at all. I looked for a setting in options but could not find one, which leads me to believe that it's supposed to come up automatically? The other, more serious problem is that I cannot craft with this mod. I target the forge or whatever, and I get the menu, but when I hit the create button, nothing happens. 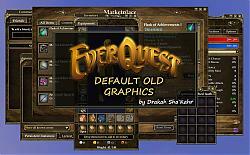 I unzipped the folder into my UI folder and pointed my eq2.ini file to it. Is there something else that I needed to do? Updated the commonelements image to file the imageframe bordering.